Michael P. McKeon represents boards of education, municipalities and private-sector employers across Connecticut in both federal and state courts on both the trial and appellate levels, as well as before federal and state boards and commissions. Mike is a member of the School Law Section of the firm's Labor, Employment Law and Employee Benefits Department. He has established new case law in Connecticut in the areas of special education and Title IX, and the favorable decisions he has obtained have been cited by courts across the country and have been reported in The Hartford Courant, The New York Times, The Los Angeles Times, The Boston Globe and The Connecticut Law Tribune, as well as in television news reports. Mike is a frequent speaker on education and employment law issues, including on the national level at both the National School Boards Association's and the Council of School Attorney's annual conferences. Mike has also repeatedly spoken at the Connecticut Association of Boards of Education's annual convention on a variety of education-law issues -- including special education law, gender equality in student athletics, and both gender and disability-based student harassment - and has presented on transgender student legal issues for the Connecticut Conference of Independent Colleges and the Connecticut Association of Independent Schools, on special education and related issues at Connecticut Council of Administrators of Special Education forums, and regularly conducts training for school personnel on sexual harassment and on education-law issues. Mike has also authored articles for a number of publications, including The American School Board Journal, The Connecticut Law Tribune, The CABE Journal, and The Fairfield County Business Journal, and regularly posts for Education Law Notes, the firm's school and education law blog. Mike has served as an Adjunct Professor at the University of Connecticut School of Law and in the University of Bridgeport's Department of Education's doctoral program, and was a Teaching Fellow at the University of Missouri prior to attending law school. Persuaded the United States District Court to throw out a State Department of Education hearing officer's decision that was adverse to the school district and to deny in its entirety the parents' demand for attorneys' fees and related relief. Obtained the entry of summary judgment in the United States District Court on behalf of a school district and district administrators on a broad array of free speech and equal protection constitutional claims as well as on federal and state statutory race discrimination, free speech, and whistleblower claims brought by a former teacher. Following years of litigation, Attorney McKeon had an attorneys' fees lawsuit brought by parents of a special education student dismissed by the United States Court of Appeals for the Second Circuit and upon its subsequent adjudication in the United States District Court, the federal court rejected the parents' claims in their entirety. Attorney McKeon was interviewed by a Connecticut news station as an expert on the issue of Title IX following the issuance of the United States Department of Education’s Office for Civil Rights’ findings in response to student complaints of gender-based discrimination against Yale University. Attorney McKeon won in the Connecticut Appellate Court, which upheld his successful argument in the Connecticut Superior Court that a former personnel director was collaterally estopped from bringing his contract claims against the school board that had eliminated his position. Attorney McKeon had previously prevailed in the United States District Court and before the Second Circuit Court of Appeals on the plaintiff’s age discrimination lawsuit, after the school board’s prior counsel advised the board that the case could not be won. Attorney McKeon was appointed to serve as an independent hearing officer in a hearing requested by the parents of a student seeking identification under Section 504 of the Rehabilitation Act. Attorney McKeon has also served as a hearing officer in a number of school districts in various matters brought pursuant to Section 504, FERPA and in both student residency and student expulsion hearings. Attorney McKeon persuaded the Second Circuit Court of Appeals to uphold the federal trial court’s entry of judgment on all 36 counts of a lawsuit brought by two teachers against the school board, the superintendent of schools and their principal, alleging multiple First Amendment, Fourteenth Amendment, and Title VII claims of gender and race-based discrimination, as well as allegations of negligent hiring and supervision. In a case of first impression in Connecticut, Attorney McKeon obtained a decision in the United States District Court, establishing the right of school districts to conduct their own evaluations when assessing whether students are eligible for special education services, a determination which was subsequently affirmed by the Second Circuit Court of Appeals. 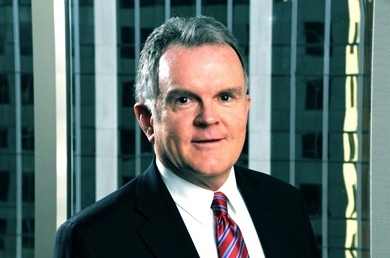 Following a two-week federal jury trial, the court granted Attorney McKeon’s Motion for Judgment as a Matter of Law in a race discrimination case brought pursuant to Title VII, a decision Attorney McKeon successfully defended when the plaintiff appealed to the Second Circuit Court of Appeals. After persuading the United States District Court to grant a new trial and thereby nullify a jury award in excess of $500,000, Attorney McKeon won the two-week retrial, prevailed when the plaintiff appealed to the Second Circuit Court of Appeals, and persuaded the United States Supreme Court to deny the plaintiff’s Petition for Certiorari. In a case of first impression, Attorney McKeon successfully resolved a federal class-action lawsuit, including winning perhaps the first Connecticut decision on the issue of substantial proportionality, brought under Title IX, in which the class plaintiffs claimed that a school board and a number of its administrators had deprived female students of equitable athletic opportunity and benefits and in which a softball coach alleged retaliation. Following a bench trial in a food allergy case in which the plaintiffs were demanding that the school board Attorney McKeon was representing be ordered to provide indefinite home instruction, the United States District Court entered judgment in favor of the school board, a decision which Attorney McKeon had upheld by the Second Circuit Court of Appeals. Attorney McKeon successfully intervened on behalf of a school board in a strike by bus drivers against a bus company, which strike had deprived the district’s students of transportation. As a consequence of Attorney McKeon’s injunction action, the strike was resolved and transportation resumed. Attorney McKeon brought an unprecedented suit on behalf of a school board and its individual members against the municipality in which the school district was located, when the municipality enacted an ordinance which would have usurped the school board’s independence and removed the then-present board members. The court granted Attorney McKeon’s request for an injunction in its entirety, invalidating the ordinance and enjoining the election the municipality sought in order to replace board members. In a police brutality case brought against members of a municipal police force following the apprehension of a felon, the police officer that Attorney McKeon represented was the only defendant against whom a verdict was not returned. In a case of first impression in Connecticut, Attorney McKeon obtained a Honig v. Doe injunction, the United States District Court prohibiting a physically dangerous, emotionally disturbed student from returning to his public school. Attorney McKeon obtained the entry of judgment on behalf of a school board and a number of its administrators, in a multi-count Title IX sexual harassment action that a high school student had brought in the United States District Court. Following a two-week jury trial, the Connecticut Superior Court granted Attorney McKeon’s Motion for Directed Verdict on behalf of a former superintendent of schools and a former assistant superintendent of schools against a former director of grounds and maintenance, who had brought a whistleblower and related claims against them following his termination.